Ivanov’s departure leaves few voices able to speak truth to Putin. 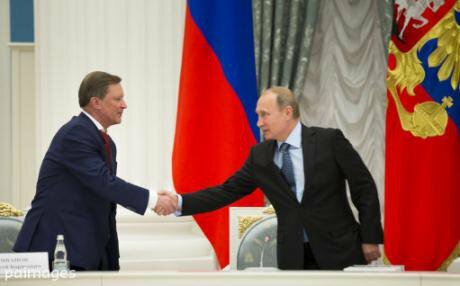 June 2015: Russian president Vladimir Putin shakes hands with his chief of staff Sergei Ivanov. Pavel Golovkin / AP/Press Association Images. All rights reserved.True to the informal tradition that August brings surprises in Russia, on the 12th it was announced that Vladimir Putin’s chief of staff, Sergei Ivanov, was leaving his position as head of the Presidential Administration (AP) and taking up the new and rather less pivotal job of presidential representative for transport and the environment. In his place, Putin elevated one of Ivanov’s deputies, the essentially-unknown 44-year old Anton Vaino. Whatever Vaino’s strengths, this points to the way Putin is hollowing out his inner elite, surrounding himself with fewer but also less substantial peers, who are unlikely to challenge his worldview and opinions. Ivanov’s departure was both unexpected and significant. Although Ivanov has since claimed that in 2012, when Putin returned to the presidency, he asked only to hold this admittedly onerous job for four years, there had been no previous hint of such an understanding. A shrewd and polished operator, Ivanov seemed at once ambitious and indispensable (asked whom he trusted back in 1999, Putin’s immediate response: “Sergei Ivanov”). Furthermore, the AP has become the most important single institution in Putin’s regime. Prime minister Dmitri Medvedev and his ministers are there to execute policy; the AP is there to help (and sometimes lobby) Putin to make it. Coming as it did after the rotation of several regional leaders, as well as a series of other promotions and dismissals, this has inevitably raised all kinds of excited speculation (the perils of cultural stereotype: what would be called a “reshuffle” in the west tends to become a “purge” in Russia) about the emergence of a neo-Stalinist form of autocracy or, at the other extreme, wild claims of splits in the leadership and a challenge to Putin. The bottom line, of course, is that there is much we do not know, and the new trend towards “Kremlinology 2.0” is often based on little data and a lot of enthusiastic speculation. Nonetheless, one can make certain inferences. First of all, Ivanov is being taken conclusively out of the running as a potential successor, but with honour. His new position is something of a sinecure, but both important (transport is a crucial portfolio) and suited to his interests (his commitment to the environment is genuine). Ivanov’s ambition was no secret, although since the death of his son Alexander in 2014, those close to him have suggested that this appeared to be less of a driving force. It is possible he did simply think it was time for a change and Putin (as he did earlier this year with Federal Guard Service head and praetorian-in-chief Evgenii Murov) let him go. But his departure could also be part of Putin’s clearing of the old guard in advance of the 2018 presidential elections. The Kremlin was caught by surprise when the rigged presidential elections in 2011 led to the “Bolotnaya protests”. This time, although they do not seem to know quite what to expect, there is a clear intention to be ready, come what may. The creation of the new National Guard in April provides a force able and, presumably, willing to tackle any protests on the streets. And at the same time, Putin, less trusting of the elite, is taking the opportunity to install a new cadre of officials who are younger and have more to prove and less to lose. Whereas once Putin looked to his former comrades in the KGB and the St. Petersburg administration for his go-to guys, now he is recruiting disproportionately from the people he knows. Given his cloistered lifestyle, that often means bodyguards, personal assistants, and the like. Vaino, for example, was head of his personal protocol office (and even memorably carried his umbrella from time to time). This, however, does not represent a fundamental change in the system. Putin has always been the unchallenged “decider” presiding over a court of boyars who know their power, wealth and futures depended on the tsar’s favour. And while many of the new appointees are not yet well-known, we cannot assume that they are all docile yes-men and colourless ciphers. Today’s grateful appointee will likely become tomorrow’s arrogant power in the land. The inexorable logic of Putin’s personalised, de-institutionalised and essentially ruthless regime is that he must periodically devour his favourites — where Yakunin and Ivanov go, other past cronies such as Rosneft head Igor Sechin and deputy prime minister Igor Shuvalov may well follow — as they become tiresome, embarrassing or a threat. What makes this iteration more noteworthy and worrying than most, though, is that it takes place at a volatile time when Putin himself is increasingly willing to sacrifice the immediate interests of the Russian people for his vision of a powerful, “sovereign” Russia and his own historical legacy. In their own self-interested and sometimes wrong-headed way, the boyars are one of the few checks and balances. This had anyway become less and less effective as intelligence became politicised, the AP squeezed out dissenting voices, and Putin himself turned away from figures such as former finance minister Alexei Kudrin who insist on telling it like it is. But while in time Putin’s new generation may grow into the same role, for the moment they will be more eager to consolidate their positions of trust. They will also lack the authority, the dense network of connections and the sheer experience to be able to articulate alternative perspectives. More dismissals are almost inevitable. At a time when Russia is heading into renewed turbulence, just when Putin could do with some strong peers, he appears determined to ensure he has none around him willing to express uncomfortable truths. 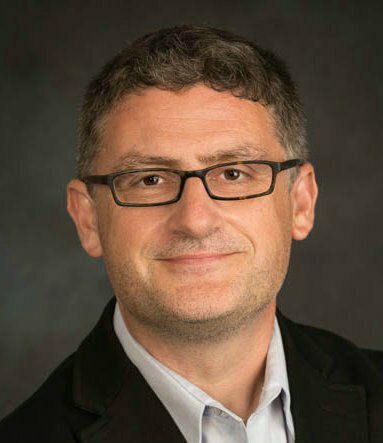 Mark Galeotti is principal director of the Mayak Intelligence consultancy and a visiting fellow at the European Council on Foreign Relations.